- Allen key nut fitting. 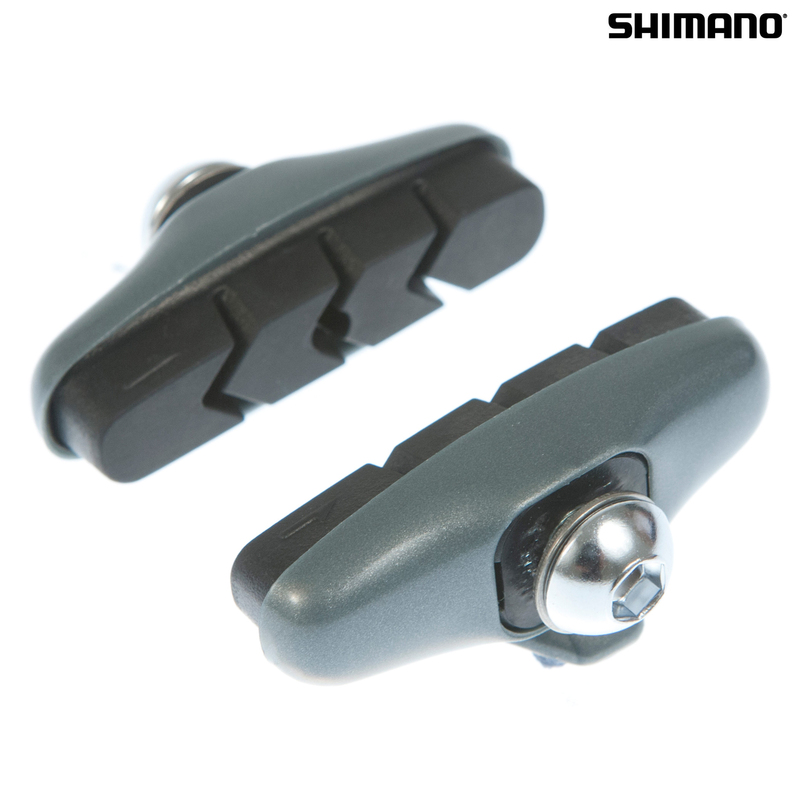 Shimano Ultegra calliper brake blocks - will also fit 105, RX100, RSX and Exage brakes. - M-System compatible for use in all weathers, wears slowly. Pairs are individually packaged. Includes mounting hardware. Really excellent value for money, typical Shimano quality, great delivery. Can I use this with older-style non-Shamno calipers? This is for an older bike I've been renovating, & it has good but non-branded brakes. Are these blocks a universal fit? These pads do have a universal fit so there is nothing stopping you using them with other brakes.